Outsource2india collaborated with one of the top aerospace OEM companies based out of USA. The client was looking to outsource their architectural drawing requirements, and required a unified solution in order to address and manage the ever increasing costs. They also wanted to ensure the presence of adequate number of resources for creating the detailed drawings at all times. The biggest challenge we faced during the course of the project was meeting the strict levels of precision, as dictated by aerospace industry norms for all architectural drawings. Also, the client had teams working all over the continents, and we had to ensure that all of those teams were kept in the loop, so that the work progressed simultaneously. Our thorough approach benefited the client in multiple ways. Not only were we able to seamlessly integrate all client projects across continents, but also maximize resource utilization for higher efficiency and cost-effectiveness. Working on the assignment provided us with the unique opportunity to collaborate with one of the finest aerospace companies in the US, and test the potential of our team to deliver high-quality results under pressure. Over the decade, we at Outsource2india have worked with countless builders, architecture firms, manufacturers etc. and have provided them with exceptional 2D CAD and architectural drawings in a timely and cost-effective manner. If you want to learn more about our capabilities, and check our work samples get in touch with our experts. 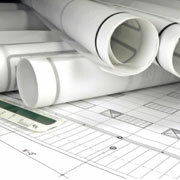 Contact us right away and learn how our architectural drafting services can help you differentiate your business offerings, and move ahead of your competitors.